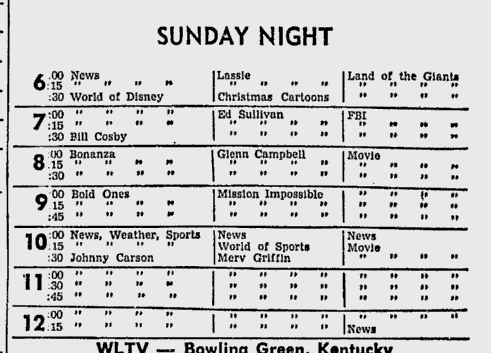 7 p.m. Central Friday, Dec. 19, 1969, and Brady Bunch is bringing some Christmas all up in here. 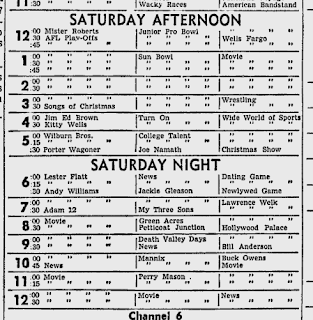 I'm watching the Chiefs-Jets on Saturday afternoon, Dec. 20, on NBC, but CBS has the Sun Bowl. Nebraska opens an 18-0 first-quarter lead on Georgia and rolls to a 45-6 win. Paul Rogers has four field goals in that first quarter (including a 50-yarder); I've never heard of anyone doing that. The victory caps a 9-2 season for the Cornhuskers, and they're going to end up 11th in the final Associated Press poll. Wikipedia: "In his first year as offensive coordinator, Tom Osborne instituted the I formation. The team started 2-2, then won their final six regular season games to tie for the conference championship." 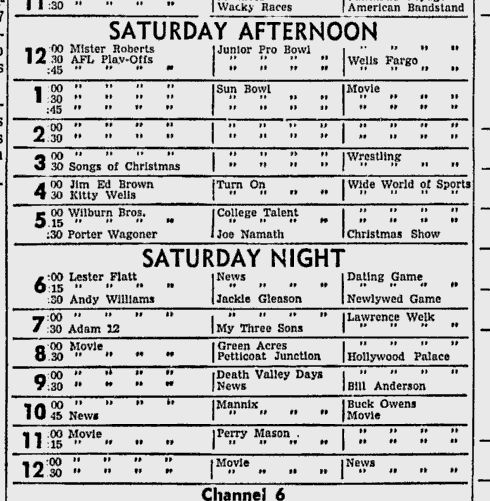 Here's the 1969 Sun Bowl halftime show. 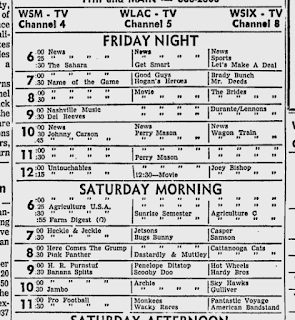 Plus, The Kansas City Times has a terrific picture of Mo Moorman and Fred Arbanas, the Chiefs’ right guard and tight end, respectively, playfully passing time in their New York hotel room by tossing a telephone book back and forth. The night before the game, Janis Joplin played Madison Square Garden and dedicated her entire set to the Jets "for their victory over the Kansas City Chiefs tomorrow," Mark Kriegel reported in Namath: A Biography. But Janis Joplin's guarantee turned out to not be as solid as Namath's last January. This was not Broadway Joe's day. Namath completed 14 of 40 passes and was intercepted three times. Namath completed 14 of 40 passes and was intercepted three times--twice by Jim Marsalis and once by Emmitt Thomas, Kansas City's cornerbacks. Keith Yowell has an excellent, detailed report on the game at his Today In Pro Football History blog. The game's key sequence appears to have been a third-quarter Jets possession in which New York had a first-and-goal at the Kansas City 1 but had to settle for a game-tying field goal. Jets fans apparently felt as though Bill Mathis should've been ruled as getting into the end zone for a touchdown. The Kansas City perspective on the possession, on the other hand, appears to be that middle linebacker Willie Lanier inspired his teammates to a heroic stand that ended with the game cinched at 6. Whatever, Len Dawson came right back with a 61-yard pass to Otis Taylor (that Dawson says Taylor drew up in the Shea Stadium turf) and then a 19-yard score strike to secondary-receiver Gloster Richardson to produce the final, 13-6 margin in favor of the Chiefs. And, once things were all over, Lanier calmed down and coolly analyzed the game-tying-but-turning Jets possession. 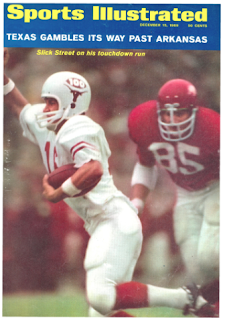 -- One, the Jets were without injured Don Maynard in this game and instead played reportedly-not-as-fast Bake Turner in his place. -- Two, New York had a very late chance to regain possession and potentially tie the game, but Mike Battle (one of Namath's co-stars in the forthcoming C.C. and Company) fumbled a punt catch. "The 1969 Chiefs were a great team. Its defense is the greatest." Matt Verdame presents a beautifully presented, lovingly crafted picture of the 1969 Chiefs defense at ArrowheadPride.com. -- Nine of the 11 regular Kansas City defenders were selected for Pro Bowls, and five are in the Hall of Fame. -- Linebacker Bobby Bell, one of the Pro Bowlers and Hall of Famers, was picked in the second round of the NFL draft by the Vikings and seventh round of the AFL draft by the Chiefs. Still, he signed with Kansas City. The All-American from the University of Minnesota finished third in Heisman votes as a senior and had been an all-state quarterback in high school in South Carolina. -- After training camp at William Jewell College in Liberty, Missouri, the Chiefs rolled through their four exhibitions against NFL opponents--the Lions, Falcons, Cardinals and Rams--by a combined margin of 132 points to 65. 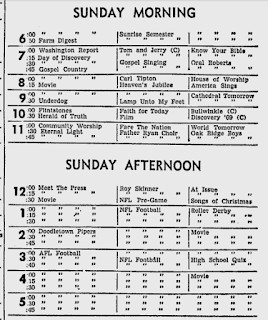 -- The AFL's leading rusher in 1969 was San Diego's Dickie Post, with 873 yards. He totaled three yards in his two games against the Chiefs. -- The Chiefs, in fact, never allowed an opposing rusher to gain 100 yards in any game that season. 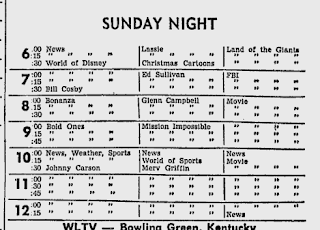 -- Len Dawson injured a knee in Week 2 and missed six games. I knew Dawson got hurt, but I didn't know he missed that many games. -- In Week 3, the Chiefs lost to the Bengals, and the second-string quarterback, Jacky Lee, got hurt, too. That moved Mike Livingston, a second-year man, into the job. Kansas City won five straight with Livingston at starting quarterback. That put the Chiefs at 7-1 on the season and in first place in the Western Division, a half game up on 6-1-1 Oakland. From that point on, however, the Raiders won every game the rest of the regular season--including twice against the Chiefs. Oakland finished 12-1-1; Kansas City, 11-3. Until this season, that would've left the Chiefs out of the playoffs. 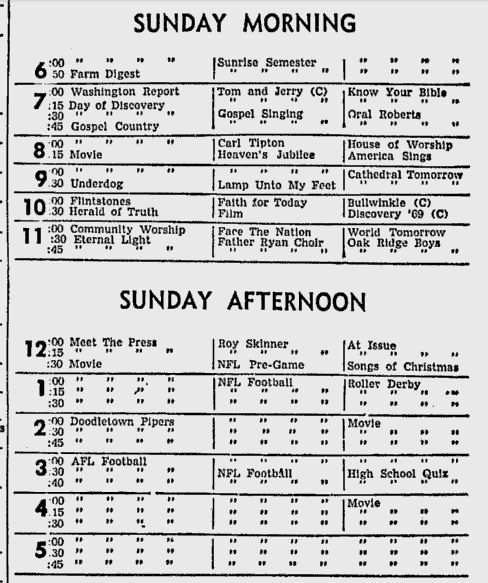 But for the first time in 1969, the AFL let in both the first- and second-place division finishers into the playoffs. 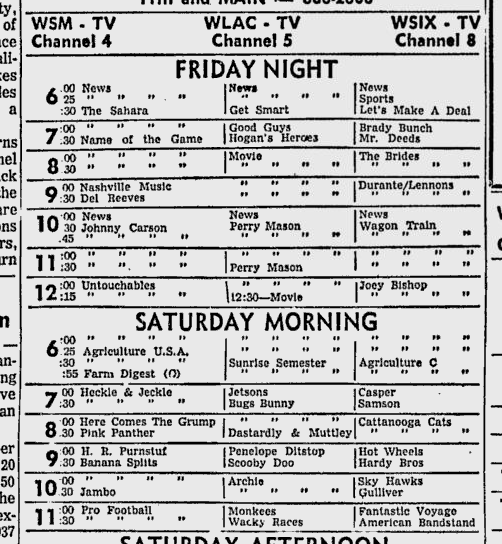 Charlie Jones in the Chiefs-Bills segment in the Week 12 NFL69 episode of This Week in Pro Football: "To a housewife, a 'clothesline' means one thing; to a pro-football player like Bobby Crockett, it means running pall mall into sure suicide." NFL Films is so, so great. It occurs to me that Raiders fans from 1969 must be so opposed to playoff expansion. 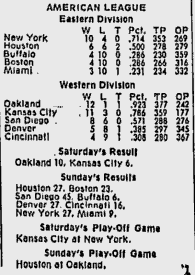 Not only did 12-1-1 Oakland have to dispose of 6-6-2 Houston on Dec. 21, 1969, the Raiders then faced the prospect of having to beat the Chiefs for the third time, this time in the AFL championship in two weeks.